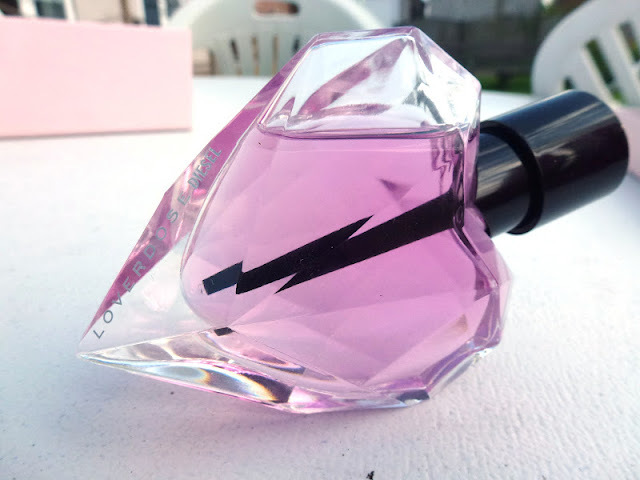 Today I'm showing you my latest perfume purchase. 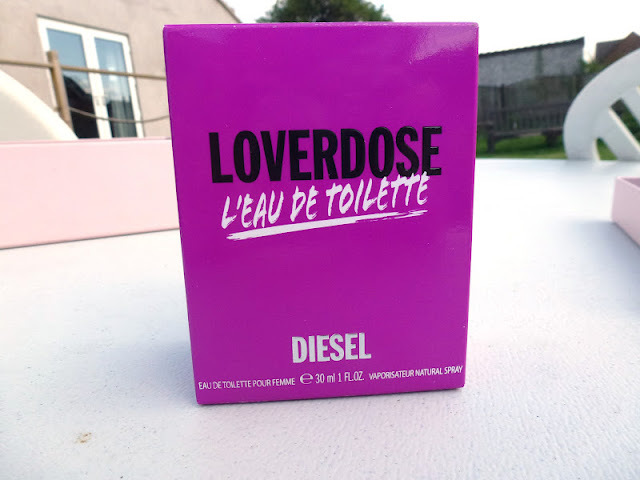 Since sniffing it at Christmas, I've wanted to get a bottle of Diesel Loverdose but just never had the spare cash to do so. The eau de parfum retails at roughly around £36for 30ml so when I saw the new eau de toilette in Debenhams I had to have a sniff to see if there was much of a difference because the eau de toilette is only £29.50. For those of you who don't know the main difference between toilette and parfum is the strength and intensity of the fragrance; generally you don't need to spray so much of parfum to get an intense scent purely due to the level of perfume concentration... basically toilette is a lighter scent and doesn't linger as long. I'm the kind of person who likes to spray LOADS, when I spray Viktor and Rolf Flowerbomb I usually end up making myself choke/sneeze because it's so strong (being eau de parfum) so it's nice to go for eau de toilette because I can happily spray away and feel fine. Loverdose is a really difficult fragrance to describe, and I think you'll either love it or hate it but for me it's a perfume that makes me want to keep sniffing my wrist. 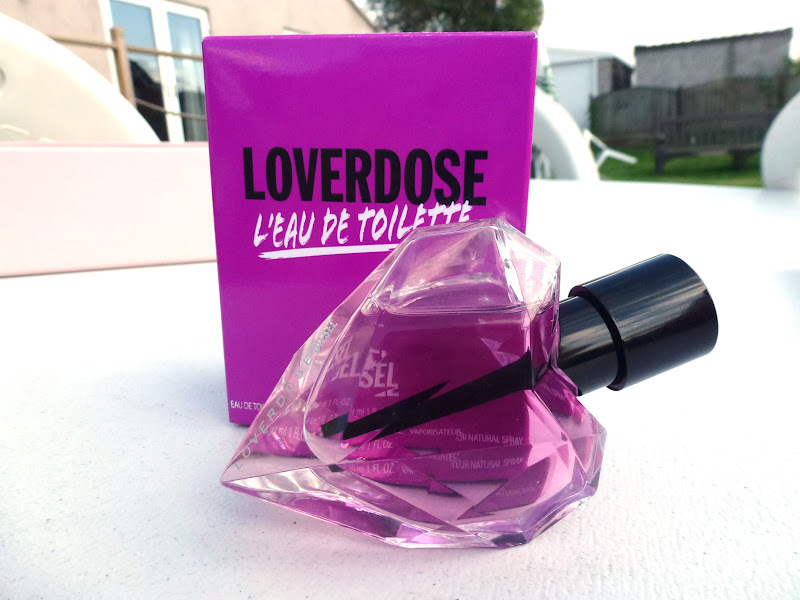 For me its in between being musky and sweet, I'm not too keen on sweet smelling perfumes (I used to love Amor Amor, but now not so much) but this one sits really well with me. The perfume shop describe it with notes of vanilla, liquorice and mandarin.... unless you're a perfume buff that description would probably mean nothing to you but I'd say that if you like scents like Calvin Klein Euphoria, Chloe, D&G The One and Ghost Deep Night then you might like this too... but saying that, regardless of what you normally go for I would definitely recommend trying this at your nearest perfume counter. I used my Debenhams Beauty Card to get some discount off this, I had £10 on it (to be honest I wouldn't have splashed out had it not been for the discount!) and I also got a free bottle of body lotion! I can't find the eau de toilette version on the Debenhams website at the moment but you can get it from Escentual for roughly £30.